For many children, anything pirate themed is a surefire way to get their attention! International Pirate Day, which is held each year on September 19th, is the perfect way to let your child’s creativity, imagination, and love of pirate life run wild! International Talk Like A Pirate Day was first celebrated in 1995, and has been a world sensation ever since, with more and more people joining in the fun each and every year. While there are many ways to celebrate International Talk Like A Pirate Day, there are a few musts that really make it fun: acting like, talking like, and dressing like pirates. Hosting pirate themed parties, cooking pirate themed snacks, singing pirate songs, and reading books about pirates are more ways to celebrate this fun and wacky holiday that brings the swashbuckling life of pirates to the kids! If your family is fond of pirates, you might find yourself already familiar with pirate costumes, pirate songs for kids, and you’ve probably read plenty of pirate books and watched pirate movies! If pirates are a regular thing in your home, perhaps you talk like a pirate more often than just celebrating International Talk Like A Pirate Day once a year. Since playing pirates and talking like pirates really can spark a little one’s creativity and imagination, it can be really good for both you and your child to interact, play, and just enjoy spending time together acting silly. So How Does a Pirate Talk? You might be wondering how a pirate does talk, exactly. You’ve probably heard the usual “Arrrr, matey!” from movies and television shows, but what other kinds of phrases are popular among pirates? Perhaps you find yourself talking about finding that long lost booty and guarding the treasure maps! Throw in a few “avasts” and “schooners,” and you’ll be ready for a high sailing adventure out on the seven seas! Perhaps one of the most popular pirate movies for kids (and adults!) is the Pirates of the Caribbean movies series from Disney. You know the one – the one with Johnny Depp that has gotten tons of attention over the years, and plenty of sequels! These movies are great pirate movies to settle down and celebrate International Talk Like a Pirate Day with. Full of humor, pirates, and plenty of adventure, you can’t go wrong when you are looking for the perfect pirate flick! Dressing up like a pirate has never been more fun! Whether you are planning on buying and decorating (or already have) costumes that you have purchased from a store, or if you are planning on making your own, it can be a fun activity to get in the mood! Dress up your eye patch with stickers, gem stones, and feathers! Grab a stuffed parrot and fasten it to your shoulder. Pick up some wooden swords, and a pirate’s hat, and you’ll be good to know! There are endless ideas for pirate costumes for kids, and it can be so much fun to get create together. 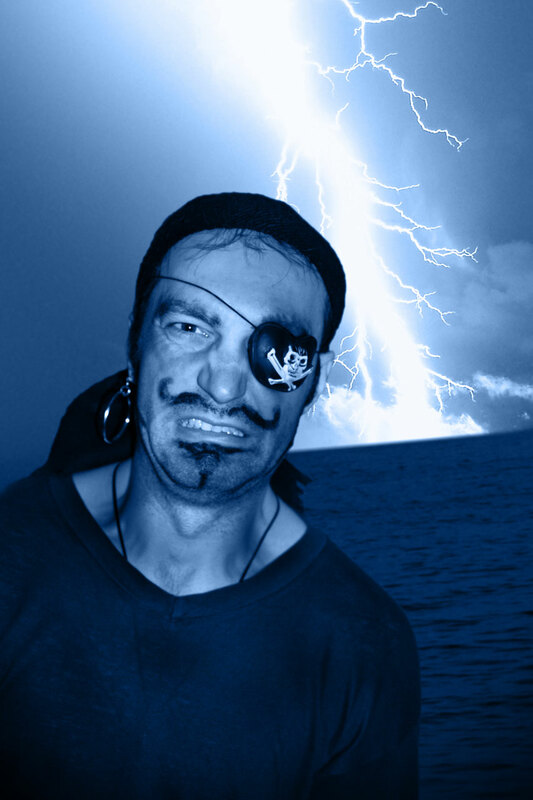 Sprinkle a little humor and festivity throughout your day with pirate jokes for kids and pirate songs for kids. Need an idea of a pirate joke for your celebration? Try this one! If you want to get your pirate singing to its best, there are plenty of pirate songs for kids available out there, and you can even add some personal touches on them (or create your own) for laugh out loud fun with the whole family. Not only should you talk like a pirate all day on International Talk Like a Pirate Day, but you should feel free to give each other pirate names, as well! Get creative with your pirate names, or try out this fun online pirate name generator. You might not think that International Talk Like a Pirate Day would have any focus on reading, but indeed it does – you can create lesson plans that deal with what you are learning here on Red Cat Reading. For example, if your child is focusing on a certain letter or phonetic sound, you can name some pirate things or names of pirates that match up with that certain sound. Make a phonics poster that uses pirate items (such as a sword) to match up with the correct phonetic sound. This can help kids to apply what they are learning on Red Cat Reading to fun and every day situations to help further their learning. No matter how you choose to celebrate International Talk Like a Pirate Day this September 19th, you can be sure that you will have a great time with your family and loved ones. A pirate themed party with plenty of movies, jokes, and some pirate themed food (such cupcakes with skulls and crossbones) can really get everyone feeling festive!